This striking landscape is organized around the single arc of a highway that divides the space into two sectors: above, a brightly lit realm of forests and mountain ridges; below, a shadowed landscape of brown fields, a diseased tree, and a dilapidated farm house. Clearly, the travails of American farmers during the 1930s has influenced Mira’s subject matter. The highway itself is a pristine band of white futurity, guarded on one side by rails and on the other by electric or phone lines (which the farm conspicuously lacks). Improbably, we see three cars on the road along with two people walking alongside; what may be a farmer watches them walk away. About the Artist: Born in Italy, Mira immigrated to the US in 1904. He attended the Art Students League, the Beaux Arts School, and the National Academy of Design, where he studied with Ivan Olinsky; his works were exhibited at several Corcoran Museum biennials. As a young man of twenty-two, Mira and a fellow artist named Joseph Perna planned to hitchhike across the United States, painting pictures as they went. They paused in Gettysburg, PA, to paint several battlefield landscapes (Gettysburg Times 10 June 1922: 2), and then Mira was invited by one driver to paint a portrait of his parents in Detroit. “After a few months,” Mira recollected, “I became so absorbed in my work that I had completely forgotten about California. By this time my companion had become homesick and he induced me to return with him.” Returning to New York, Mira was best known for his cityscapes of lower Manhattan and capturing “the way busy people see it...None of those breath-taking shots cameramen contrive of towers and infinity, which no New Yorker sees in actuality” (Los Angeles Times 31 Jan. 1943: 35). 18 more images at The Athenaeum. 2 more images at FAP. 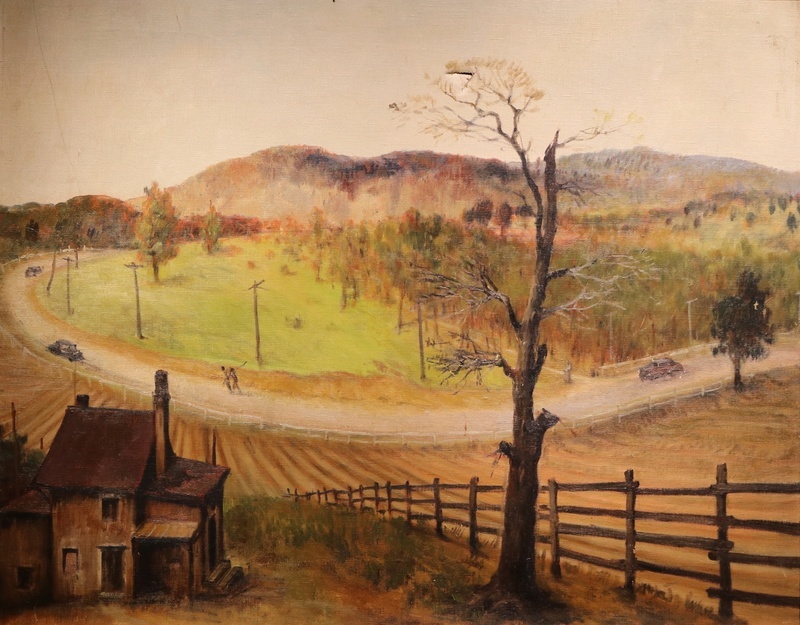 Mira, Alfred S., 1900-1981, “American Farm,” OpenValley, accessed April 25, 2019, https://openvalley.org/items/show/1176.